Christine Grimes is a Texas-born writer living in upstate New York. 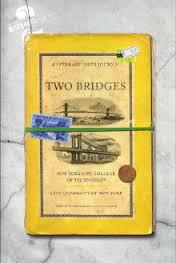 Her story, “The Window,” appeared in 2 Bridges Review. Christine Grimes teaches at SUNY Jefferson and has led writing workshops and craft seminars for Black River Writers and Fort Drum’s women’s conference. Grimes’ work has been included in From Where You Dream, a collection of craft lectures by Robert Olen Butler. She also hosts the North Country Writers Festival in Watertown, NY, annually, as well as the monthly reading and performance series, First Fridays, in Sackets Harbor, NY. Her stories have been published in journals such as Harpur Palate, Cutthroat, Passages North, and 2 Bridges Review. She is currently at work on a collection of stories and a supernatural thriller set in Sackets Harbor, NY. To read “The Window” by Christine Grimes and an exercise on structuring a plot around a character’s lack of change, click here. In this interview, Grimes discusses the ten-year road to publication for “The Window,” the problem of where to begin a story, and the legal issues of using real-world references in a fictional story. I know that “The Window” has had a long life between first draft and publication (ten years?). How did it change in that time? Or, what revisions finally got it to the final draft? I first drafted this story for a Texas State University MFA workshop in 2004 and it finally found a home when it was published in 2015 with 2 Bridges Review. Remarkably, the story’s structure and who the character was didn’t change drastically during those eleven years. A lot of my stories are rooted in working-class monotony that stretches into the weird and absurd. I wanted to portray a woman who truly believes she’s destined for greatness and is stuck in a dead-end job that moves from unpleasant and slides into a surreal nightmare without her quite realizing that it’s occurring until it does. Like many MFA students, I revised shortly after workshop and sent it out into the world for rejection. I submitted a couple times a year and when I’d hear back from journals, sometimes there would be an encouraging note, but mainly it was those little scraps of paper (in the days before Duotrope) saying thanks, but no thanks. Every time it came back, I’d read it through again and cut some words, some lines, some paragraphs. I’d rework a passage or two. Then I’d send it out during the next 3-day weekend or block of vacation time I had. I landed a few other stories I’d written for Tim O’Brien’s workshop at journals during those years and that, coupled with the encouraging rejections, was enough to keep me still sending this one. When I wrote newer stories, I sent those instead, but something always drew me back to this one, so I kept tinkering. I removed filters, cut some more words, and sent again. When I compare the 2004 draft to the 2015 published version, many of the original lines are still included, but they are cleaner and the chaff has dropped away. I also have added lines to each key scene that either roots it in sensory description, calls back to something else in the story, and/or transitions between ideas. In the final paragraph for instance, the middle of the paragraph was added: “The cloudy smear shrinks as the impression from his hot breath fades until the window is clear.” Before that sentence was added, the paragraph moved too quickly and the beats didn’t effectively root the reader with the narrator in that final, isolated moment. When I look through the story, there are sentences like this throughout, but I doubt I ever would have gotten to those without the cuts that made the space and air for them to arrive. I really like the opening scene at the bar, where the narrator gets embarrassed by the guy she met. It’s an interesting scene to begin the story with because it’s set outside of the chip factory, where the entire story is basically set. It also happens outside the time frame of the day that the story is mostly set in. Did the story always begin with this scene? Or, did you add it to achieve a particular effect? The story always included this scene, but it wasn’t until I revised the story several times over that I realized its importance to the narrative. Originally, I’d written it to set her in small town ambiance, show her life outside of work wasn’t much better, and make her late to work. While it did create that effect, I thought of cutting it and starting in the chip factory during revisions. Then I realized that it’s important that she has the man’s attention and hopes for romance until his friends mock him for his interest. It sets up a parallel for the final scene where she is on display and falls at the mercy of several guys together. Although she is able to convince herself the first event doesn’t matter, her willingness to hope for some connection with the final guy who exposes himself leaves her in an even more vulnerable position. Her inability to recognize the reality of a situation repeats throughout the story. I also love the daydream about becoming a food critic. I remember this part from all those years ago in workshop. Since this an internal moment for the narrator (as opposed to a present-tense scene), it probably has the ability to move about the story until it finds its right location and size. Was this the case? Or was this daydream always present in the story in basically this same place, in the same way? Christine Grimes’ story, The Window, appeared in 2 Bridges Review, Vol. 4. Thanks. It was something I had a lot of fun with, particularly because her idea of becoming a food critic is vastly different from what many would imagine. She isn’t cooking up exciting dishes at home and no one is coming to her for restaurant recommendations. The daydream always appeared in this format and was one of the few things I decided not to tinker with in the story. Surprisingly, one of the most difficult challenges with revision to this story was centered around food. I’d named the factory after a well-known corn chip company and used it throughout. Sometimes it was a benefit I suppose – a kind editor at Carve wrote to tell me the story had made it through the early rounds for their contest but didn’t make it to the finals, then noted she was a sucker for those chips and any story that featured them. However, ultimately, when I worked with Rita Ciresi at 2 Bridges Review, she accepted the story noting that I’d have to take the name out for the sake of liability. I agreed and immediately brainstormed 15-20 names that conjured up the same type of oily corn chip sound with my favorites at the top. When I began researching those, I found Mexican restaurants, East and West coast chips companies, vegan chips, and weight loss companies, until I finally landed on Gornitos. While I’d seen different writers debate whether or not to use companies for the sake of verisimilitude, I never expected to have to change it for liability purposes. I cringed at the fact that the narrator eats ten bags of chips a day. I mean, I love to eat and I can pretty easily eat way too much food, but that is a lot of chips. It’s an interesting thing for the narrator to know about herself—she seems aware of her own actions yet also unable to change them. That seems like it would be a difficult balance to find. How did you make her aware but not so aware that the reader wouldn’t believe that she was still stuck in a job she felt was beneath her? Two for lunch, two for dinner, a few in the afternoon? Nope, you’re right. That is a ton of chips. One of things that fascinates me about people are the disconnects they are able to have in their own lives. That’s certainly one of the things I wanted to explore with this character. She’s overweight, unhappy, and stuck, but doesn’t see that eating all of these bags, and even logging more tastings than she’s supposed to, could be detrimental. And she’s proud of her work and her work ethic, even though she shows up late and sabotages her boss. So I tried to illustrate her goals and dreams, the reality of her life, and the disconnect between the two. That was something I really wanted to capture – the ways in which we are woefully short of the visions we keep of ourselves. Of course, it’s easier to see in others, particularly people who might seem so different from ourselves.